Frank Lucas is a former gangster and big shot drug dealer best known for his massive chain of an international drug ring which connected from New York to South East Asia. Born in the United States, he dealt actively between the late 1960s and early 1970s in Harlem. The notorious yet cunning gangster had a unique style of doing things, and he directed connection with Asian drug lord 007 in Southeast Asia himself and worked directly. Moreover, he is also infamous for his film American Gangster, which features his life during his active days as a drug dealer. He is portrayed by Denzel Washington in the film. However, at the moment, he has given up the life of crime and works to support children of imprisoned parents through organization Yellow Brick Road started by his daughter Francine. According to sources, at the moment, he has an estimated net worth of $1.5 million which is not even comparable to his net worth back during his days as a criminal. Here we are going to give you some in-depth information about Frank Lucas' net worth back then and now, his earnings and his career as a high-class drug dealer. 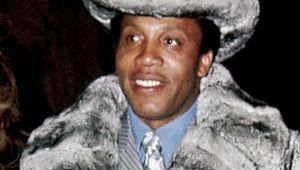 Frank Lucas's current net worth is $1.5 million, but back when he was not caught and was running his illegal business of drug successfully, he had an estimated net worth of $52 million which he had revealed himself. According to him, he also earned a massive $1 million every day. Besides, the majority of his money was in Cayman Islands banks, and some were also packed in safe lockers. At the time, Frank Lucas also had 1000 kilograms of heroin in hand which was worth $300,000 per kilo. When he started his life of crime, he was sure that he wanted to be very rich which he called "Donald Trump rich," and he sure did reach his goal in life. In fact, he had so much cash in hand that he would run out of place to hide it. And according to sources, he would often drive with trash bags full of cash to the bank in the Bronx and exchange them with legal bills. Moreover, the A-list criminal was able to buy properties throughout the United States. He owned numerous apartments in LA and Miami and some office buildings in Detroit. He also purchased a chain of dry cleaner and gas stations to make his earning more legit followed by a breeding bull farm in thousands acres ranch in North Carolina with 300 Black Angus cattle and first-class breeding bulls. He also owned some luxurious and super expensive accessories and coats of mink and chinchilla. 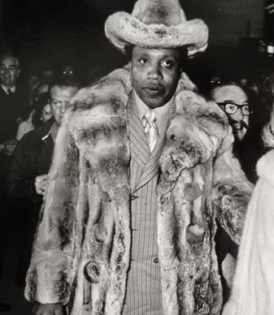 According to reports, Frank Lucas even bought a matching bracelet for himself and his wife of Van Cleef worth $140 thousand, and his wife also gifted him a fur coat and matching hat worth $50 thousand and $10 thousand respectively. However, Frank Lucas preferred dressing very casual and suited up normally to keep himself as low profile as possible. Furthermore, Frank Lucas has close connections with many Hollywood celebrities including Sean Combs, also known as P Diddy. According to sources, P Diddy visited his house with his father during his childhood and played with Frank's daughter. Moreover, he also met Howard Hughes at a club in Harlem. Back in the days, Frank Lucas also contributed $100,000 to the movie titled The Ripoff. He also lent his classy high-end cars for the movie, but the movie never finished production. Frank Lucas knew that he had to take up the road of criminalism and illegal works to survive after he witnessed the brutal murder of his 13-year-old cousin by members of KKK (Ku Klux Klan) just because he was claimed to have looked at a white woman in a very flirtatious manner. Later, Frank Lucas started working as a truck driver for a company and soon was caught red-handed sleeping with his boss' daughter. This was when his first criminal activity started as Frank Lucas knocked the father down by hitting him on the head with a pipe. He feared that he would get arrested so, he stole $400 from the company and set the building on fire and fled to New York. As he moved to New York, he was recommended to get a decent job, but he knew what he wanted and followed his path. Frank Lucas continued his way of crime and became bolder and more ruthless. He did it all from stealing an entire tray of diamonds from store to robbing a bar at gunpoint. Later, Frank Lucas even shot a thug in bright daylight in a crowded place after he broke a drug deal. This incident brought the attention of Ellsworth 'Bumpy' Johnson's to him. Their relationship is quite controversial as there are different stories from different sources. Frank claims that he served as the wingman to Bumpy, but other's have different stories to tell. After Bumpy's death, it was Frank Lucas' turn to take place and, he sure did it. He wanted to be a big name in the drug world, and soon, he decided to take things in his hand and traveled all the way to southeast Asia to get the first-hand experience of drug dealing, and his main aim was to break the dominance of Italian Mafia. Frank Lucas traveled to Thailand and on his arrival to Bangkok, Frank Lucas met the owner of Jack's American Bar famous as a hangout place for African-American soldiers, Leslie 'Ike' Atkinson. Frank Lucas is also the husband of one of his cousins. They made a deal, and with the desire to get the first-hand experience, they traveled through the jungles of Thailand for two weeks to get to the Golden Triangle which is a dense jungle area located on the borders of Thailand, Laos, and Burma. There they met the man himself known as 007 and bought 132 kg of high-quality 95% percent heroin for $4,200 per unit. Moreover, if Frank Lucas would have to buy a unit from the Mafia, it would have cost him $50 thousand for a kilo. Moving on to his process of exporting the goods to the United States, Frank himself claimed that he recruited a carpenter who built him more than two dozens of coffins (government-issued) with a false bottom. Almost 6 to 8 kg of heroin were smuggled under the dead bodies of soldiers. However, Atkinson claims that the heroin was packed in furniture. With his growing success in the criminal world, Frank Lucas only involved his family members in the work as he doubted that others would steal from him. Moreover, women who worked for him to dilute the heroin to 10 to 12% by mixing with quinine and mannite had to work naked and only wore a mask and plastic gloves. Frank Lucas was very witty and stayed out from getting into trouble for a long time. At the time, the police force was also very corrupted and he with bad cops in the department, he quickly got off by bribing them with hundred thousands of dollars and heroin. However, in Jan 1975, Frank Lucas' house in New Jersey was raided by ten agents of the U.S. Drug Enforcement Administration and ten detectives from the New York Police Department. He was convicted of federal and New Hersey state drug violations and was sentenced to 70 years in jail. At the same time, all his assets and money was seized including his massive storage in the Sayman Islands bank. But Frank started helping the police and provided evidence for 100 more convictions related to drugs. Because of his contributions, he served only five years in jail and was released in 1981. Later Frank Lucas was again arrested and served seven years in jail. As he returned to Harlem, he witnessed the poverty and crisis caused all because of him which made him quit the path of crime and move along to do good deeds. As mentioned above, Frank Lucas currently works to support children of imprisoned parents through an organization named Yellow Brick Road, started by his daughter Francine. Moreover, he is bound to a wheelchair because of a car accident causing permanent damage to his legs. Furthermore, the father of 7 children is currently very close friends with Richie Robert, who was a good cop and not ones who were in Lucas' pocket. Matter, of fact, Richie and other good cops were the ones who worked hard to put Frank Lucas in prison. Richie had always been an advisor to him, and they grew deep friendship throughout the years. They are so close that Richie is the godfather of one of Lucas' son named Ray. Nonetheless, despite his evil deeds in the past, Frank Lucas is a sensation and people are very willing to meet him and take a picture together.